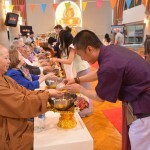 Buddhist Meditation for Barclays: 08.12.16. Today 2 Venerables, temple staff and volunteers travelled to London by kind invitation of Rana Mutsuddi, Vice President, Wealth and Investment Management, Barclays Head Office Canary Wharf. 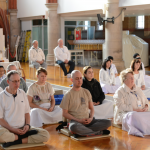 Over 40 people participated in an introductory session on Dhammakaya meditation . experiences, and an enjoyable time was had by all. 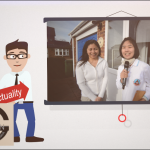 There are plans for further similar visits in the near future. 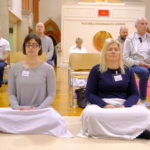 Several participants also expressed an interest in attending a meditation course at our temple in Woking. We share these merits with you all.